Hotel Comfort Bamboo Sheets Review - Is Bamboo the Material for You? Your mattress is the most important piece of furniture in your bedroom, and arguably, your life. It makes sense that you’d want to dress it in something just as comfortable and quality. Hotel Comfort has designed an organic sheet collection made from 100% bamboo with an aim to offer the softest sheets for folks who prioritize clean, natural bedding. In this review of Hotel Comfort’s Luxury Bamboo Sheet Set, I’ll be diving into these sheets to see just how soft they are, and for which sleepers they are best suited. No time to read a full review? Click here to jump to the summary! In search of an organic sheet option? Look no further! So what are you getting when you order the Hotel Comfort Luxury Bamboo Sheet Set? Hotel Comfort offers sets ranging in size from twin to Cali-king. They also offer the option of a split-king set for folks who enjoy a dual-king mattress. 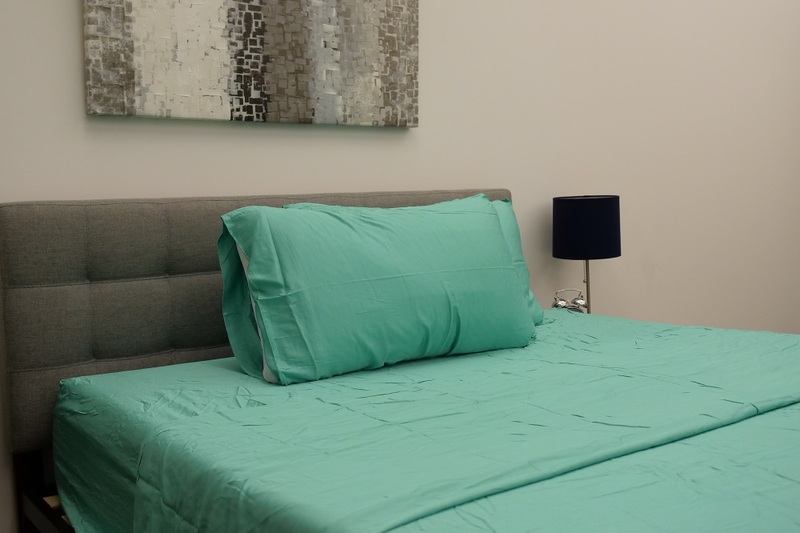 Each set includes one flat top sheet, one fitted sheet, and two pillowcases. Don’t worry — the king sets come with king sized pillow cases. While the company maintains that all of their sheet fabric is free of harmful chemicals or dyes, there is a variety of colors from which to choose! 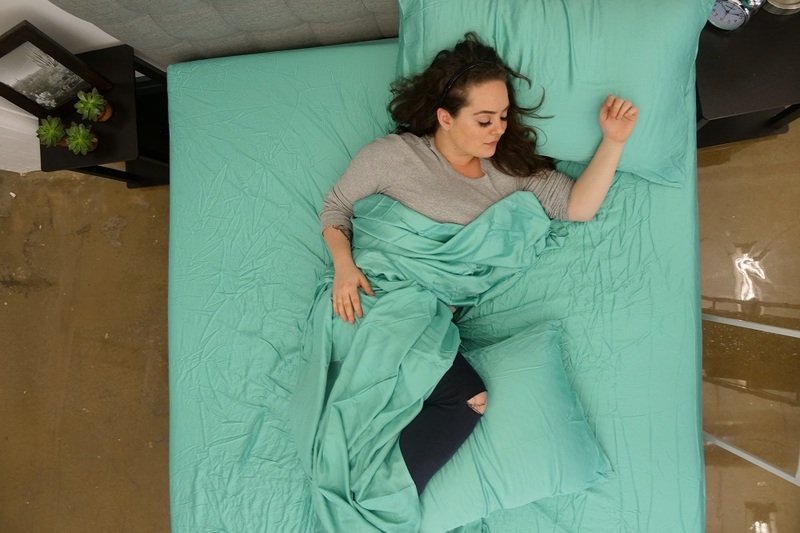 Hotel Comfort is a company on a mission to provide sleep products that are comfortable and durable with an emphasis on naturally organic materials. All of their products are certiPUR-US certified, meaning the foams they use have been tested to meet the standards of CertiPUR-US. They test for emissions, content, performance, durability — anything and everything that might make your bedding unsafe or out of compliance with health standards. All Hotel Comfort products are made in the USA, and they guarantee satisfaction on everything. In the case of these particular sheets, you can try them out for a full 100 days before making any tough decisions. The Hotel Comfort Luxury Bamboo Sheet Set is made entirely of organic bamboo fibers. Known for silky breathability, this material is organically designed to be softer than cotton. Because it is largely accepted that bamboo is the softer material of the two, bamboo bedding producers often do not indicate a thread count for their sheets. However, the rule of thumb is that 1,000 thread count of cotton is equivalent to 250 thread count of bamboo. So, you do the math. The nature of bamboo fiber is that it gets softer as you wash it (how’s that for incentive to wash your sheets?) so these sheets have a sort of unique durability wherein using them actually improves the feel over time. Bamboo sheet sets are not only very durable, but also more resistant to shrinkage. So, even if you wash them every day, they should still fit snugly over your mattress. Overall, bamboo fibers make for strong, light sheets that I, personally, prefer to cotton — but there are several different types of bamboo sheets. The Hotel Comfort Luxury Bamboo Sheet Set in particular is bamboo viscose which is softer, more durable, and generally higher quality than bamboo lyocell sheets. Bamboo sateen is considered to be the absolute softest in the hierarchy of bamboo sheets. These particular sheets are hypoallergenic, and resistant to mold and mildew. So if you’re prone to allergies or generally sensitive to your physical environment, this naturally antibacterial fabric is definitely a perk. Bamboo sheets are also cooling and sweat wicking which makes them a good option for folks prone to heating up during the night. The set I tested is a Queen size, so it measures 60 x 80 inches. Hotel Comfort’s bamboo sheets have deep pockets capable of hugging both regular and thick mattresses up to 20 inches. My mattress is pretty thick and it was no problem fitting the sheets on the bed. However, after a night of rolling around and luxuriating in the silky coolness of these sheets, I woke to find that two sides had slipped off the mattress. So, if you’re an active sleeper like me, the depth of these pockets is definitely something to consider. As far as the feel of them goes, well, the rumors are true. Hotel Comfort’s Luxury Bamboo Sheet Set felt exactly that: luxurious. The fabric feels so silky smooth I couldn’t stop rubbing my hands over my mattress. The natural properties of the bamboo are cooling and drying which is ideal for me as I often wake up hot and sweaty. Hotel Comfort says this sheet set is wrinkle free, and I cannot attest to that. They do wrinkle and crease, but that certainly doesn’t detract from the lush, soft feel of the sheets against your skin. While these sheets are machine washable, you can’t just throw them in with the rest of your stuff on any old setting. Wash these sheets in warm water on a gentle cycle with a cold water rinse. Everyone likes a nice bright white sheet, but never bleach them. Bleaching them can weaken the bamboo fibers and cause the color to yellow. To dry them, just tumble on low heat; ironing them would ruin the material. So, relatively speaking, these sheets are pretty easy to wash. When you’re ready to wash these sheets (which should be once every two weeks or so), wash them in cold water on a gentle cycle. Tumble dry them on a low setting, and, to keep them from wrinkling, remove them from the dryer as soon as they are done! Unfortunately, you cannot iron these sheets lest you ruin the material. If you want to use bleach to keep your sheets vibrant, be sure to use a non-chlorinated bleach. SHOULD I BUY THESE SHEETS? Heats up during the night, or can’t fall asleep unless you’re cool. Bamboo fibers are naturally sweat wicking and thermoregulating. Has allergies. 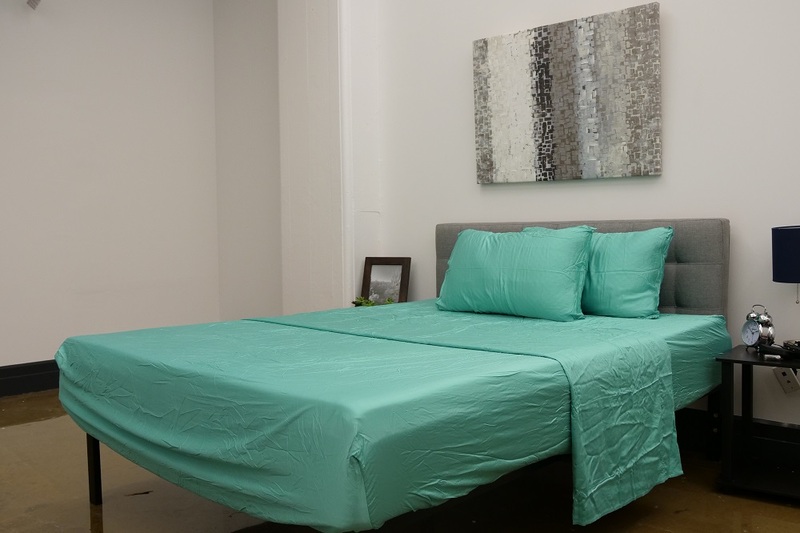 Made from 100% bamboo fiber, these sheets are hypoallergenic. Wants an eco-friendly set of sheets. Bamboo is an organic source that grows naturally, free from chemicals. Likes the feel of cool, silky fabric more than warm, fuzzy cotton. Wants wrinkle-free sheets. In my experience, these sheets wrinkled easier than cotton fabric. Wants to be able to iron their sheets. While these sheets do wrinkle, ironing them would ruin the material. Prefers the cozy warmth of flannel or similar types of cotton sheets. These sheets are light and breathable. I do think it’s important to note that this is a very light and breathable sheet set, almost bordering on thin. Sleepers who are in search of medium to heavy-weight sheet material would be better suited to a different set of sheets. Overall, these are my kind of sheets. When all is said and done, the most important thing I look for in a set of sheets is how the fabric feels on my skin when I’m getting ready for bed. The soft, cooling caress of Hotel Comfort’s bamboo sheets lulls me right to sleep. If you plan on buying a set of bamboo sheets from Hotel Comfort be sure to use the code “Sleepopolis” to save 20%! Click here if you’re ready to order your set of Hotel Comfort’s Bamboo Sheets!